Home / Southcoast News / Achievements / Southcoast Health is first in state to use latest image guided technology for spinal implants. 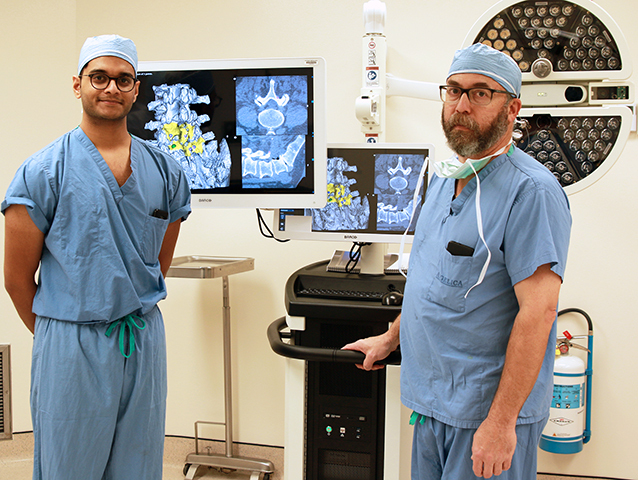 Schrynel D’Mello, a clinical engineer with 7D Surgical and Dr. Matthew Philips of the Spinal Surgery team at St. Luke’s Hospital get a better look at a patient’s anatomy with 7D Surgical Machine-vision Image Guided Surgery technology. 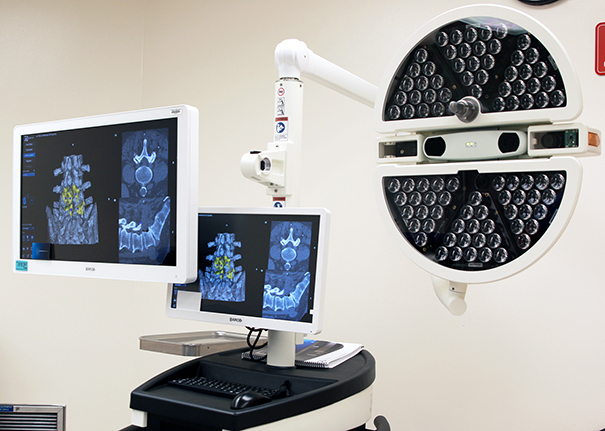 Southcoast Health adopts 7D Surgical technology for spinal implants and greatly reduces a patient’s exposure to radiation that is commonly associated with traditional robotic approaches.